In a company as large as your world, all that’s missing is YOU. If you join Meliá Hotels International, you will immediately be empowered to enhance the experience of every guest. We put the emphasis on having a qualified team of people working in an environment where flexibility, motivation, commitment, involvement and enthusiasm prevail. We work together to grow in a company that is the leader not only in our different lines of business but also in people management, one of our main foundations. For those reasons and because we know that you are talented, ambitious, and are seeking to grow and improve as a professional, we are inviting you to come and achieve your dream with us! 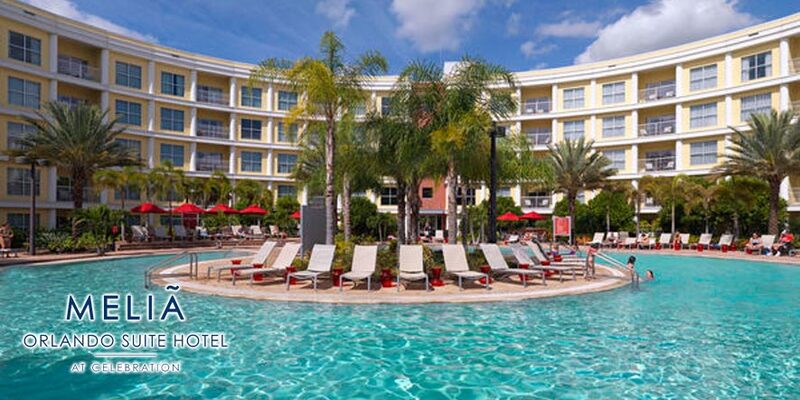 Meliá Hotels International is the world’s largest resort hotel company in the world. With 350 hotels worldwide, and growing, the company has been firmly committed to international development. Competitive Compensation: Pay rates that meet or exceed area standards. Worldwide Hotel Booking Discounts: Amazing discounts to everyone who is part of the company, including our family or friends. Partner Discounts: Meliá Hotels International takes advantage of its leading position on the international market, striking deals with other companies to offer our employees products or services at a more competitive price. For example, theme parks, banks, airlines, insurers, and gyms, etc. Provide fast and courteous service of food and beverage to guests. Clear, clean, and set tables according to the standards of the hotel. Prepare and/or transport all food and beverage items and associated supplies, equipment and materials to and from the breakfast area. Welcome guests and respond to requests in a prompt and professional manner. Separate dishware, glassware and silverware and deliver to washer for cleaning. Perform pre and post shift side work assignments. Handle food objects, bus trays/tubs, plates, glasses etc. Know your work schedule and follow it with a high degree of reliability. Promote and apply teamwork skills at all times. Utilize protective equipment, when applicable. Promote the hotel through goodwill, courtesy, and a positive attitude. Comply with hotel policies, procedures, uniform and grooming standards. You must be at least 21 years of age to be considered for this role. This role requires full availability for any shift, any day of the week, including nights, weekends, and holidays. Must have at least 1year experience a similar position as a server in a hotel/restaurant environment. Ability to carry/lift/push/pull items weighing up to 50 pounds. Job requires frequent bending, stooping and kneeling. Must be able to read, write and speak English. Other languages preferred. Only candidates with authorization to work in the U.S.A. will be considered. At this time, no monetary relocation assistance is available. 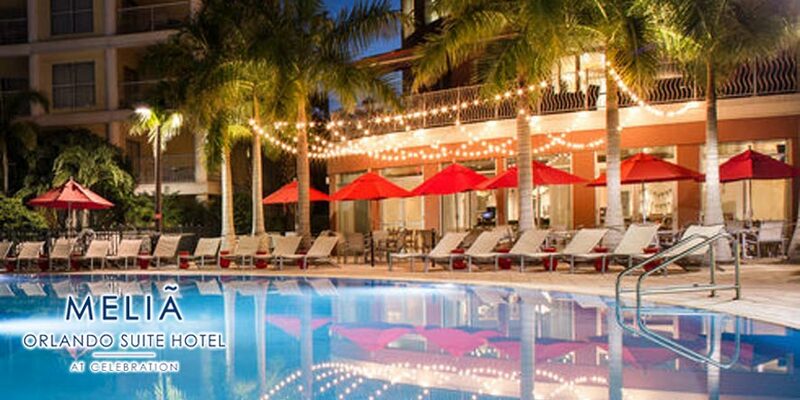 Provide fast and courteous service of food and beverage to guests at the pool. 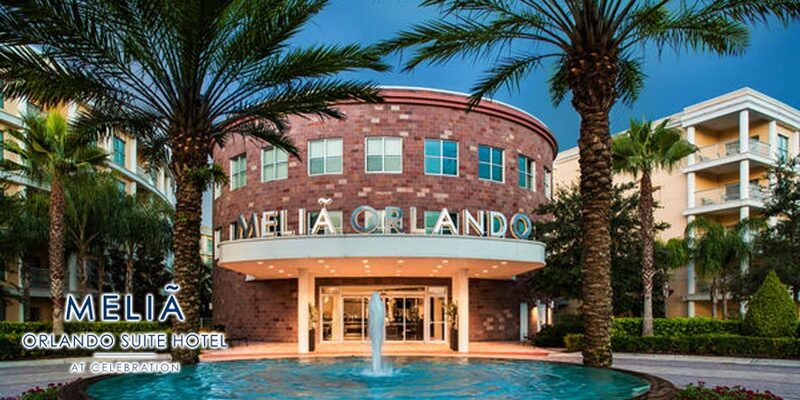 Melia Orlando Suite Hotel at Celebration is seeking an entry level Human Resources Coordinator. The ideal candidate would have some Human Resources knowledge or background and speak a foreign language with Spanish preferred. Act as primary point of contact for team members for routine inquiries regarding policies, procedures, employment verifications. Escalate serious matters to HR Manager. Coordinate and assist with the facilitation and preparation of team member training. Assist in educating employees on current safety issues to ensure compliance with all health and safety regulations. Meet with new employees to review new hire paperwork for accuracy and completeness. Initiate and keep track of all performance reviews. Assist with the preparation of communication of employee benefit programs. Assist with the recruitment process including, but not limited to: attending career fairs, scheduling interviews, processing tests, writing and mailing correspondences to candidates. Control expenses and minimize waste within all areas of the department. Anticipate guests’ needs, respond promptly and acknowledge guests even when busy. Maintain complete knowledge of HR and manual systems. To respect any confidential information received regarding guests, staff and management. To observe all security, health and safety regulations. Follow all company policies and procedures, and report accidents, injuries, and unsafe work conditions to manager. Be up-to-date with all Hotel features and local attractions/activities to respond accurately to any guest inquiry. May assist by performing other duties as needed. Ensure uniform and personal appearance is clean and professional, and maintain confidentiality of proprietary information. Successful completion of the training/certification process. Attend all trainings and daily, weekly and/or monthly meetings. The statements in this job description are intended to represent the key duties and level of work being performed. They are not intended to be ALL responsibilities or qualifications of the job. 1) Ability to satisfactorily communicate in English (verbal and written) with guests, management and co-workers to their understanding. 2) Ability to provide legible communication. 3) Ability to compute basic mathematical calculations. 4) High school graduate, some college or degree. 1) Fluency in a foreign language, preferably Spanish. 2) Pursuing a degree with concentration in human resource management. 3) Experience in same and/or similar position in a hotel/resort. Note that the foregoing qualifications are minimum essential requirements and there may be other requirements that arise based on business need. Ability to be well organized, maintain concentration and think clearly when multi-tasking and providing service to multiple team members within any given period of time. Ability to be discreet and keep information confidential. Ability to stay on top of the upcoming needs of the team members by organizing and adhering to calendar reminders. Problem solving/Conflict Resolution- Able to resolve issues quickly and efficiently for team members. Intermediate knowledge of Microsoft Office and Publisher. Ability to understand guests' service needs. Overview: Perform a variety of routine accounting duties to ensure the control and protection (internal control measures to protect hotel’s assets such as cash, stock etc, against misuse) and management information (in form of reporting results to mangers to yield a greater awareness of the hotel changing situation, to act as a guide to future actions required to keep the hotel reaching for its predetermined goals). Verify accuracy of the recording of income, analyzing and reporting, inefficiencies or weaknesses in operational procedures with recommendations for improvement. Prepare daily and monthly reports (hotel and food and beverage flash reports and average spent), detailed analysis of house accounts, allowances, and front office audit. Minimize losses from credit card charge backs, review daily and undertake prompt actions and implementing proper front of house procedures. Ensure that all the hotel’s procedures are adhered in accordance with hotel policy and standards. On a daily basis, monitor reports of guests' high balances, analyzing each case and taking the right measures to ensure settlement. Control all deductions, adjustments, discounts, cancelations and discrepancies. Daily review the night audit package and collect signatures. Review packages in PMS system to ensure the correct posting of revenues and calculation of taxes. Ability to satisfactorily communicate in English (verbal and written) with guests, clients, vendors, suppliers, management and co-workers to their understanding. Ability to compute intermediate mathematical calculations. Intermediate or advanced knowledge of MS-Excel and Word. Experience in same and/or similar position in a hotel/resort. Ability to work proficiently with checklists. Prior Audit and policy procedures implementation experience. Fluency in a foreign language, preferably Spanish. SAP (software) and Opera/Micros experience. College degree in Accounting or Finance or equivalent work experience. At least 1 year experience a similar position as a server assistant in a hotel/restaurant environment preferred. Set up work station as required, including but not limited to filling dish machine, checking chemical levels, pre-soaking, and gathering required set-up equipment for appropriate work stations. Operate dishwashing machine to manufacturer’s specifications and instructions. Place clean dishes in assigned storage location. Clean kitchen equipment, including but not limited to filters, steam tables, bus tables, carts, ovens and grills, sink, refrigerator/freezers, service areas, walls, floor. Use and dispose of kitchen substances (such as grease) and kitchen chemicals properly. Responsible for cleaning all the areas of the employee break-room, including tables, chairs, electronic items such as coffee maker, microwave and refrigerator. Empty and clean trash cans when they become full, transport garbage containers from kitchen and employee break-room and work areas to dump site; adhere to recycling regulations. Set up and monitor the pot sink according to procedures. Sweep and mop kitchen, employee break-room, and back of the house hallways at the end of each meal period and after each spill. Monitor chemicals and water temperature during shift. Advise supervisor of low inventory items; assists in receiving items and taking inventory as required. Maintain high standards of sanitation at all times and maintain the cleanliness of all cooking equipment and work areas, including but not limited to: reach-ins, walk-ins and counters used during shift. Ensure cleanliness standards in the kitchen, meeting or exceeding the state and local Health Board Inspection and hotel requirements. Complete all cleaning functions as directed by kitchen cleaning schedule and/or supervisor. Ensure uniform and personal appearances are clean and professional, and maintain confidentiality of proprietary information. The statements in this job description are intended to represent the key duties and level of work being performed. They are not intended to be ALL responsibilities or qualifications of the job. This position is classified as non-exempt (per the Fair Labor Standards Act) and is subject to overtime in accordance with Federal and State Regulations. Meliá Hotels International is the largest resort hotel company in the world. With 372 hotels worldwide, and growing, the company has been firmly committed to international development. Competitive Benefits Plans: Health, dental, vision, and supplemental insurance. Work/Life Balance: Holiday, vacation, and sick pay. Partner Discounts : Meliá Hotels International takes advantage of its leading position on the international market, striking deals with other companies to offer our employees products or services at a more competitive price. For example, theme parks, banks, airlines, insurers, and gyms, etc. Prepare and cook orders (hot and cold meal) for daily operations in accordance with portion and quality standards specified in recipes. Check food line to ensure that all required items are stocked with backups in their proper locations. Continuously restocks items as needed. Control food usage to minimize waste. Advise supervisor of low inventory items; assists in receiving items and taking inventory as required. Perform all methods of cookery and portion control and garnishes all dishes in accordance with specifications, timing and standards set by the Executive Chef and/or Kitchen Manager. Maintains high standards of sanitation at all times and maintains the cleanliness of all but not limited to cooking equipment, work area. Reach-ins, walk-ins and counters used during shift. Must ensure cleanliness standards in the kitchen meet or exceed the state and local Health Board Inspection and hotel requirements. Completes all cleaning functions as directed by kitchen cleaning schedule and/or Supervisor. Responsible for ensuring that all product is properly stored, equipment shut down, and the kitchen properly secure prior to leaving at the end of the evening shift. Complete pre-shift duties as assigned. Handle guest complaints following the instant pacification procedures and ensuring guest satisfaction. Check-in and check-out hotel guests in a timely and professional manner. Process all payments according to established procedures. Register guests, issue room keys, and provide information on hotel services and room location. Up-sell rooms when possible, to maximize hotel revenue. Accurately process all cash and credit card transactions in accordance with established procedures including but not limited to: posting all charges, completing cashier and other reports, preparing deposits, and counting/securing assigned bank. Respond appropriately to guest complaints. Make appropriate service recovery gestures in order to ensure total guest satisfaction. Book guest reservations for individuals that are requested either by phone or from within the hotel. Process cancellations, revisions, and information updates on changes. Ability to be well organized, maintain concentration and think clearly when multi-tasking and providing service to multiple guests and/or clients within any given period of time. Welcome and acknowledge all guests, anticipate and address guests' needs, assist individuals with disabilities, and thank guests with genuine appreciation. Open doors and assist guests/visitors entering and leaving property. Arrange transportation (i.e. taxi, shuttle bus) for guests and record advance transportation request as needed. Inform guests of property amenities, services, hours of operation and local areas of interest and activities. Monitor complete control of bell carts and hotel lobby telephones at all times. Transport guest luggage to and from guest rooms and/or designated bell area in a prompt and professional manner. Drive hotel vehicle to and from various destinations within the area of the town of Celebration. Maintain stock, supplies and cleanliness of Hotel entrance, Lobby, Luggage Closet and equipment. Valid driver’s license with clean record is required. Extensive knowledge of hotel area, local attractions and promotional activities within the area preferred.